Land of Fairy tales! Castles; deep dark forests; mythical rivers plus small picture-postcard towns, pagan-inspired harvest festivals. Driving in Germany is the best way to see it all!German roads are well maintained, and many scenic routes lead you through wonderful German landscapes. 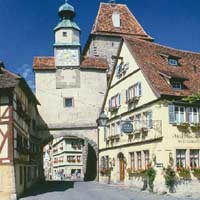 A trade route during the Middle Ages, between Würzburg and Füssen, which retains much of its medieval character. The road winds through the countryside, connecting walled towns and picturesque villages with gothic cathedrals, half-timbered fachwerk houses, beautiful historic hotels and medieval festivals. 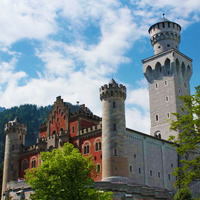 Fairytale castles like Neuschwanstein and the Alps complete the charm. 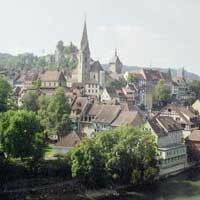 It is the setting for many of Grimm Brothers` stories. The Black Forest `Hochstraße` (high road) is 37 miles long, and connects the towns of Baden-Baden in the valley of the Rhine with Freudenstadt in the mountains, and is one of the oldest roads in Germany. 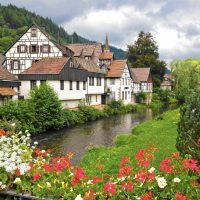 Famous for its cuckoo clocks, thick black forest and spa resorts with pretty villages, rolling green pastures dotted with farmhouses. Great place for Hiking. Stretching west from Germany`s remote southeastern corner to the Allgäu region near Lake Constance, the Bavarian Alps form a stunningly beautiful natural divide along the Austrian border. 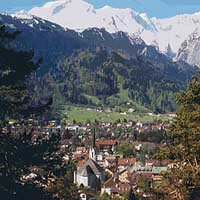 The region is dotted with quaint frescoed villages, spas and health retreats and has a wealth of outdoor possibilities for skiing, snowboarding, hiking, canoeing and paragliding. A land of wine and great natural beauty which reaches its apex in the verdant Moselle Valley towns such as Cochem, and along the Rhine, where rich hillside vineyards provide a backdrop for noble castles and looming medieval fortresses. 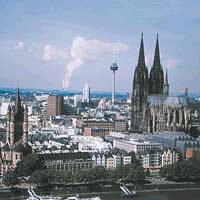 Visit Franfurt, Wuzrburg and Munich with a rent a car. 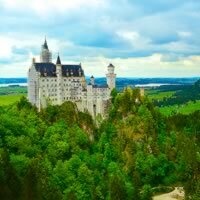 Take an unforgettable vacation through Europe and visit Munich and Garmisch-Partenkirchen with a rent a car to explore on your own. There is simply no shortage of museums, churches, parks, historic sights or activities to explore in these fascinating cities. This is a flexible vacation package. Select your number of nights in the city, desired hotel and activities.